A Senate Health, Education, Labor, and Pensions (HELP) Committee report unveiled [July 18] by Chairman Tom Harkin (D-IA) revealed that 14 years later, many states are failing to live up to the integration mandate of the Americans with Disabilities Act. The Supreme Court ruled in Olmstead v. L.C. in 1999 that the unnecessary segregation of individuals with disabilities in institutions is a violation of the Americans with Disabilities Act, thus directing states to enable community-based long-term care services for these Americans. The report, titled “Separate and Unequal: States Fail to Fulfill the Community Living Promise of the Americans with Disabilities Act,” is the result of requests for information sent by Chairman Harkin to all 50 states on the progress made to transition individuals out of institutions. 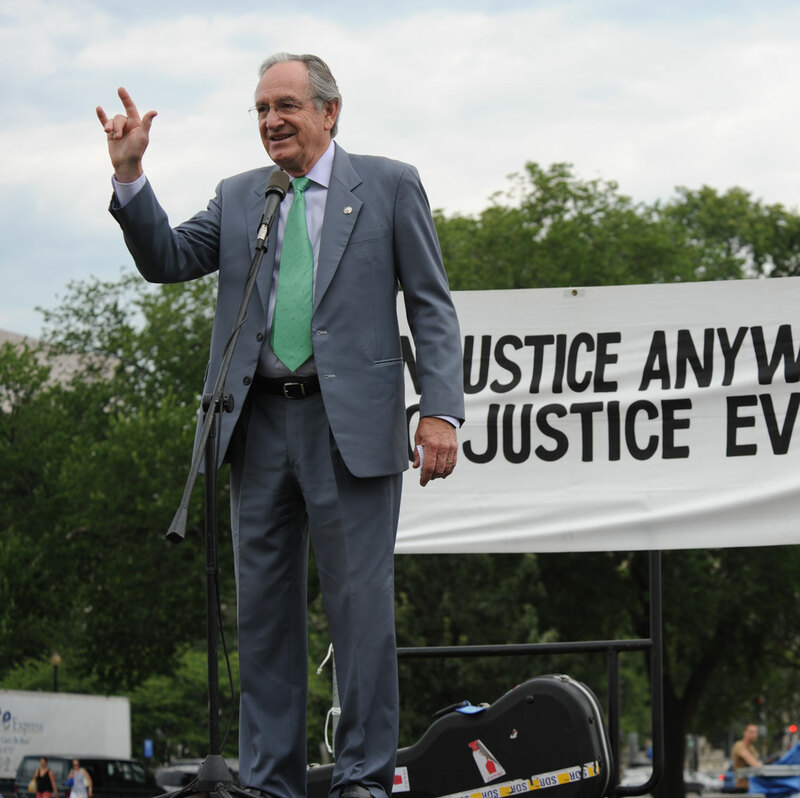 Harkin, who is the Senate author of the landmark Americans with Disabilities Act, has long sought to ensure that all Americans have a real choice to receive Medicaid-funded care in the community. Today’s report is a comprehensive review of the types of community-based services states provide to individuals with disabilities compared to the institution-based services they must provide. The HELP Committee report makes key policy recommendations to better ensure that the choice to live in the community becomes a reality for all Americans. These recommendations include an amendment to the ADA to clarify and strengthen the law’s integration mandate in a manner that accelerates implementation and clarifies that every individual who is eligible for long-term services and supports (LTSS) under Medicaid has a federally protected right to a real choice in how they receive services and supports. The report also recommends Congressional action to amend the Medicaid statute to end the institutional bias in the program by requiring every state that participates in the Medicaid program to pay for home and community-based services (HCBS)—just as every state is required to pay for nursing homes, for those who are eligible. Read the full report with executive summary or a copy of responses from states. Congress should amend the ADA to clarify and strengthen the law’s integration mandate in a manner that accelerates Olmstead implementation and clarifies that every individual who is eligible for LTSS under Medicaid has a federally protected right to a real choice in how they receive services and supports.